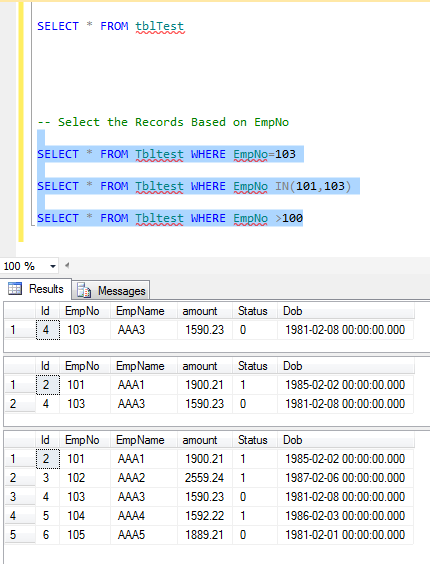 This article is Part-I of a series of 'Step by step Perform Sql Queries' In this article, we will discuss step-by-step implementation of sql queries using SQL Server and perform few CRUD operations. So, what we are waiting for here, lets get started. Just following these step(s) and we will done! 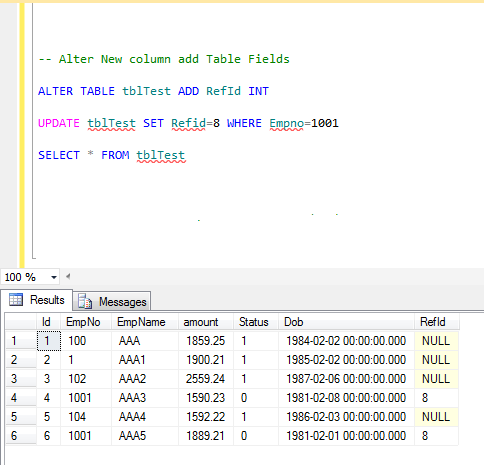 Launch SQL Server Management studio from your system. 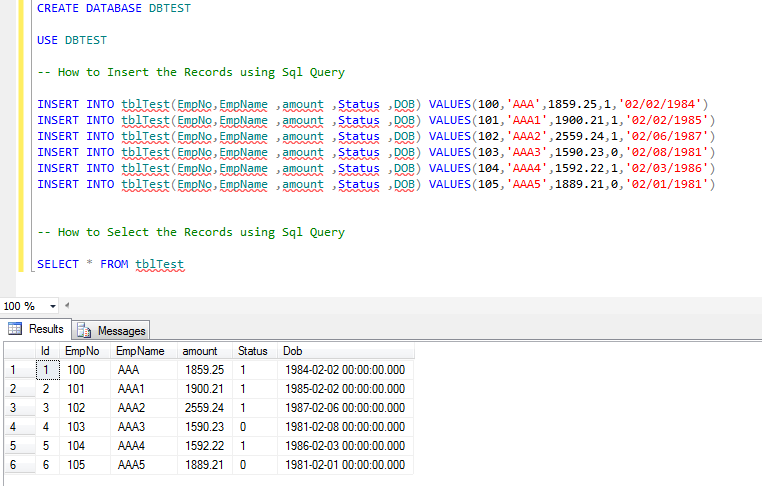 If you do not have SQL Server, get one for this article you can install Sql Express edition. 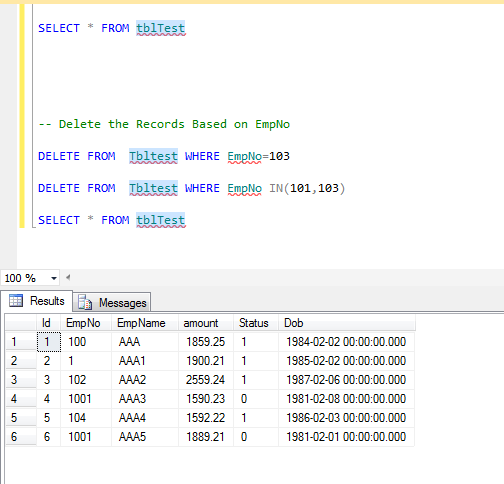 From Management Studio Click on 'New Query' and open Sql Query window. Engine and then expand that instance. 2. 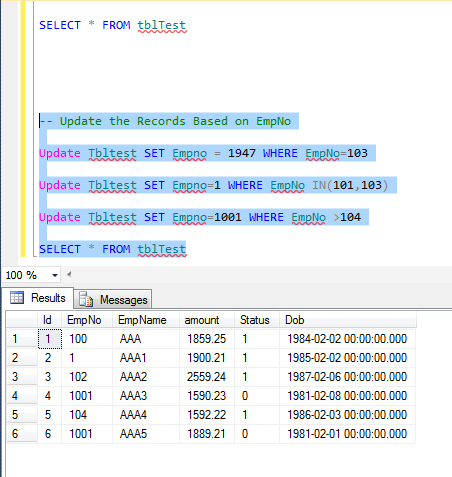 Right-click Databases, and then click New Database. Primary Key must contain UNIQUE values. 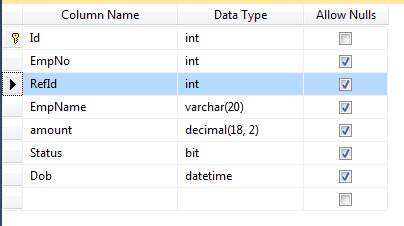 A primary key column cannot contain NULL values. The table can have only ONE primary key. Int number fields (Ex: 100,200,1500). VARCHAR character and string value. BIT boolean value (Ex: True or False). 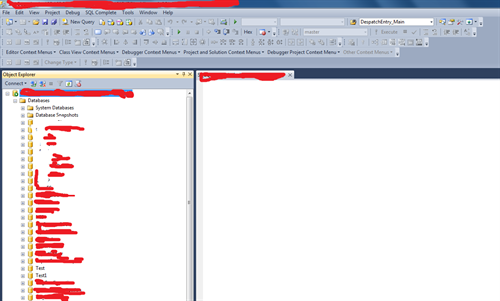 In this whole article, we discussed about SQL Query operations using SQL Query Window. Hope, you find this article helpful.